Every pan is a no-stick pan if you no-cook in it. Cooking has just never been a priority of mine (not even as a mother). Not only do I dislike it, but I struggle to find the time (and energy) to do it. True story, I actually scrub my toilets more often than I cook. During the final few weeks of my pregnancy, everyone told me that my non-cooking days were nearly over. I scoffed at the notion, knowing darn well that I had at least eight months of infant formula and jarred baby food ahead of me, before I had to break out the pots and pans. I was willing to do anything to delay the inevitable. But here’s the thing…I hate cooking. Why does cooking have to be an inevitable task that catches up with us when we become moms? Who set the requirement that we have to cook in order to earn our “good mommy” badge? No one! It is 2015. Millennial moms have careers to manage, blogs to write, gyms to hit up, errands to run, bathes to give. If cooking didn’t fit into our lives before kids, it certainly doesn’t now. And if being a mom doesn’t make you feel any more domesticated than when you were a single lady, you should be totally ok with that. I know I am. Does this all sound familiar? Yes?... Good, keep reading. Many cooking-moms will view non-cooking moms the same way lactation nurses view non-breastfeeding mothers; if a lactation nurse visited you in the hospital, you know exactly what I’m talking about. But how do you provide for your family? What in the world do you eat? If you don’t cook, your kids won't grow up healthy and strong. I’m here to tell you to ignore them (lactation nurse included). Just like breastfeeding, cooking isn’t for everyone and people need to understand the burden it puts on some moms. Surviving without cooking (or very minimal cooking) is actually pretty easy. And as a side note, my little man is as healthy as can be, is at the top of his growth chart, is in a great place academically, and has more energy than a log rolling down a hill. All while surviving baby formula and with a mom who can’t cook. Non-cooking mommies listen up! Here are my simple life hacks for raising a family when you and the kitchen just don’t get along. Some steps require a little effort on your part, but as your kid will tell you, try everything at least once. Kids are notoriously picky eaters. Keep in mind that they do not need filet mignon or lobster bisque to be content. They actually prefer simple things, like pizza, spaghetti, carrots, and crackers. My son loves applesauce and turkey sandwiches – no crust. Helpful Tip: Kids are fickle little creatures. If you make things in interesting shapes, there is a greater chance they will at least try them. Think: grilled cheese triangles, dinosaur shaped chicken nuggets, cookie cutter sandwiches, round melon balls). If you are stressing over how to get them to try new flavors, set out a variety of dipping sauces and condiments with each meal and let them build their own creation. Lastly, keep in mind that kids are naturally attracted to sweet foods and shy away from bitter foods. Give bitter foods a sweet twist to increase the likelihood that your child will try it. Aside from having a microwave (which is a non-negotiable staple in every household), you should invest in a crockpot and a good blender. On the rare occasion I am forced to cook, these help me survive. The microwave is obvious – what can’t go in there? Except aluminum foil! Don’t put that in there – it catches fire. Use your crockpot to make cool things that seem difficult and time consuming, but are actually a piece of cake. It’s so easy that even I can do it, thus I have extremely high confidence in you. There are tons of easy crock pot recipes on Pinterest. Make a board and get to pinning. I am super skeptical of leaving something plugged in all day while I am at work, but all of my friends assure me it’s fine. You go to work, while the crock pot works for you. (Try one of my favorite crock pot recipes: Chicken Tortilla Soup). Save up some money and invest in a good blender. Keyword being good. Not a $20 one from Kmart, which I tried, and it couldn’t even blend up an ice cube. (Ninja is an excellent brand). I love to blend smoothies and make protein shakes as meal replacements (or snacks) when I am busy. My son loves fruit smoothies too. Again, Pinterest will become your best friend here. In this case, EASY means limited ingredients and no cooking jargon. Like sauté, what the heck does that even mean? On occasions where I am forced into cooking and no crock pot is available, I look for something super simple. 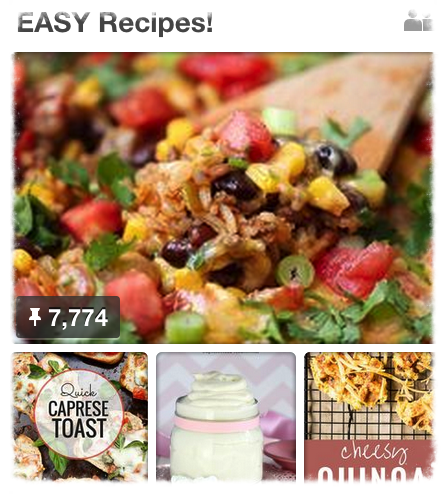 Again, I direct you to Pinterest (how did we survive before pinning)? These are some very popular boards to follow. 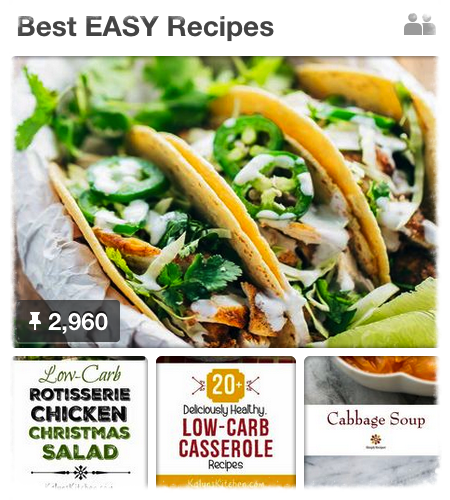 Find recipes that match your skill-set. There really is something for everybody, even the kitchen illiterate. When and if you do decide to cook a dish, consider doubling the recipe. This way you have plenty of leftovers to stretch over a few days. The less cooking the better. And if even this is two steps too many, grocery stores have all sorts of convenient food options, no oven required. If you are married and/or live with someone who despises cooking less than you, offer to do the the clean-up in exchange. My son’s dad doesn’t mind cooking, so he does 90% of it and I do the dishes. On week days, I am the master sandwich maker, apple slicer, smoothie blender, and brown bag lunch master. We all have our place. These two recipes pop up most often in our house: No-Peek Chicken and Walking Tacos. Here’s the moral of the story, and I’m just gonna keep it totally real. I dislike cooking and would rather spend my time doing almost anything else. We do eat mostly convenience foods in my family. I love protein bars, my son loves chicken nuggets. Maybe once every two weeks I’ll cook something… maybe. And until I find some hidden urge to want to start cooking more often, we will continue to eat lots of PB&J sandwiches, turkey burgers, cereal, rice, yogurt, and fresh fruits. We totally hit up McDonald’s from time to time to grab Happy Meals. We eat out on occasion. We are HUMAN! What works for us won’t work for everyone. You have to find something that works best for your family. Maybe that’s cooking, maybe it’s a meal prep service (I have used Freshly in the past and love their omelets and turkey chili). Mix it up. Attempt to cook a couple dishes on a Sunday afternoon that are easy. Make enough to have leftovers for a day or two. Keep things simple the rest of the week. Remember, you do not have to have a fancy meal to enjoy bonding time. My son and I are perfectly content to sit and eat parfaits together while we discuss his day at school. And accept and be OK with the fact that you aren’t a chef. You don’t have to be! Own it already. Cooking isn’t for everybody, and it certainly isn’t for me. On that note, I want to hear from you! What’s your easy, no-cook advice to get through the week? Do you have a killer, simple recipe that works every time? Please share! My family will thank you.